Toshiko Takaezu is one of the foremost ceramic artists of the twentieth century. Between 1951 and 1954, Takaezu pursued a Master’s degree at Cranbrook Academy of Art, studying not only under ceramist Maija Grotell, but also with sculptor William McVey and weaver Marianne Strengell. She continued to teach summer sessions at the Academy through 1956. Over the course of a long and extremely fruitful career, Takaezu’s work progressed from the production of functional vessels to the creation of abstract sculptural vessel forms, which draw on both Eastern and Western aesthetics, the natural world, and the human form for inspiration. 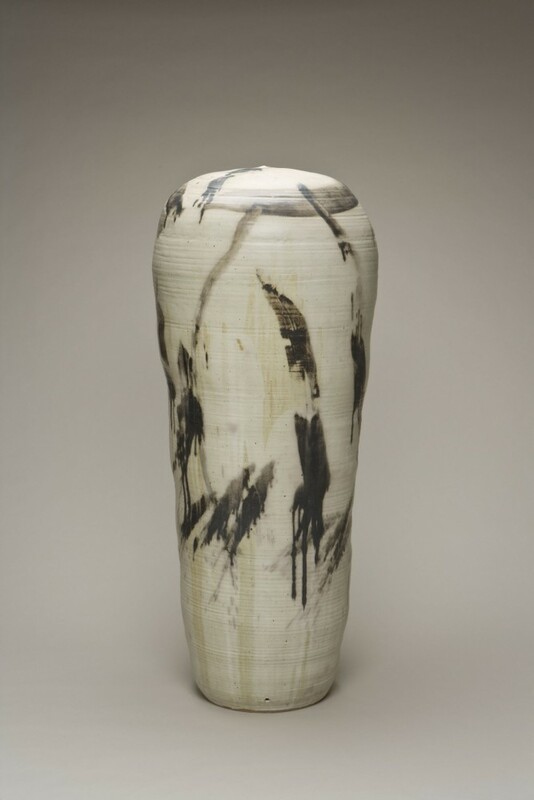 Using the productive limitations of a somewhat closed repertoire of forms, Takaezu experimented with surface decoration and a spontaneous approach to glazing her work.